The sulphurous water with bromide and iodide salts of Terme di Sirmione is regarded as a natural medicine. Rich in precious minerals, especially sulphur, in the form of hydrogen sulphide, it exerts particular actions on the mucociliary function of the airways (improvement of clearance within 3 weeks), a direct mucolytic, anti-inflammatory and antiseptic action. 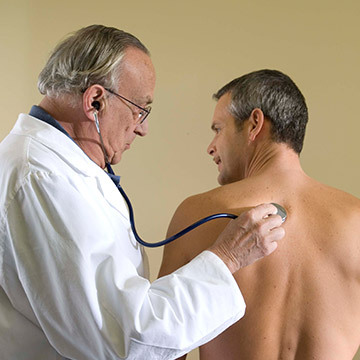 Thermal treatments integrate courses of prevention and maintenance therapy of respiratory diseases (chronic bronchitis, COPD, asthmatic bronchitis etc.). 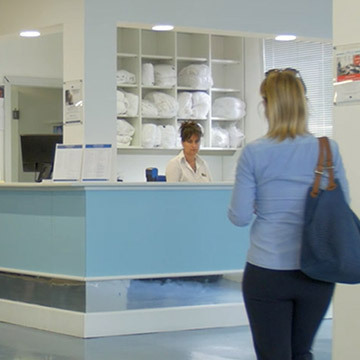 The new Breathing Programmes of Terme di Sirmione, aimed at those with respiratory problems, snorers and smokers, offer a combination of services that enable the breathing to be protected and improved, reducing the risk factors or preventing the progress of the disease. 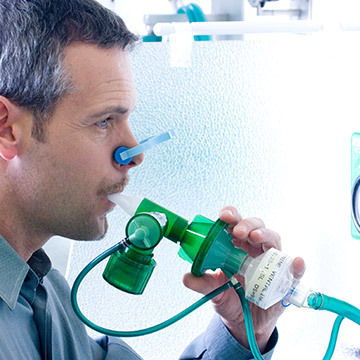 Pulmonary ventilation and respiratory physiokinesitherapy are elective treatments for respiratory diseases. 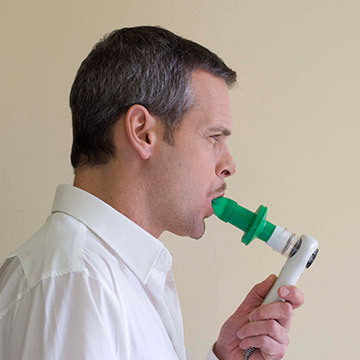 Conditions: rhino-bronchial syndrome, chronic bronchitis, chronic obstructive bronchopeumopathy (COPD), asthmatic bronchitis, bronchiectasis, obstructive sleep apnea (OSA), bronchial asthma, acute bronchitis, pulmonary fibrosis, dyspnoea or bleeding, sarcoidosis, pneumonia etc.